We took a road trip last week to Dearborn, Michigan (just outside of Detroit). 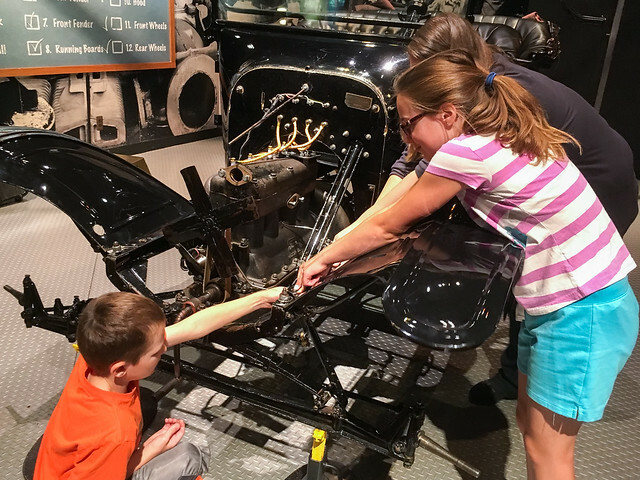 We started at the Henry Ford Museum, where the kids spent the entire day learning about history and American innovation. 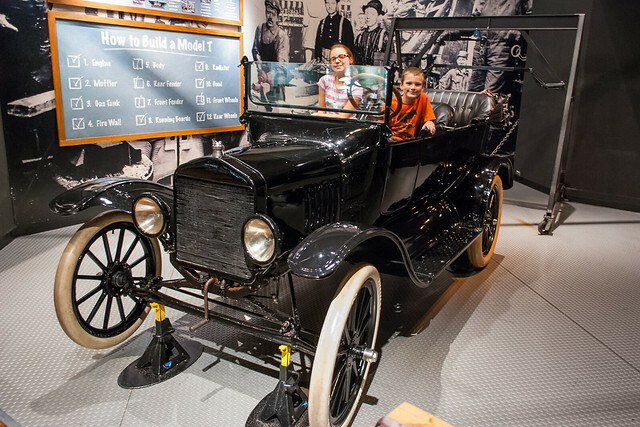 They even got to help build a real Model T and then sit in it when it was complete. 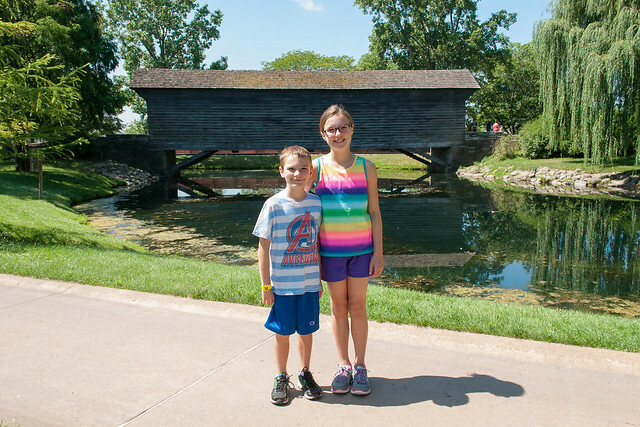 Then we visited Greenfield Village, where you can actually take a ride in a real Model T. It's a little town with authentic old buildings and vehicles and methods of working. Evelyn said it was just like going back in time. 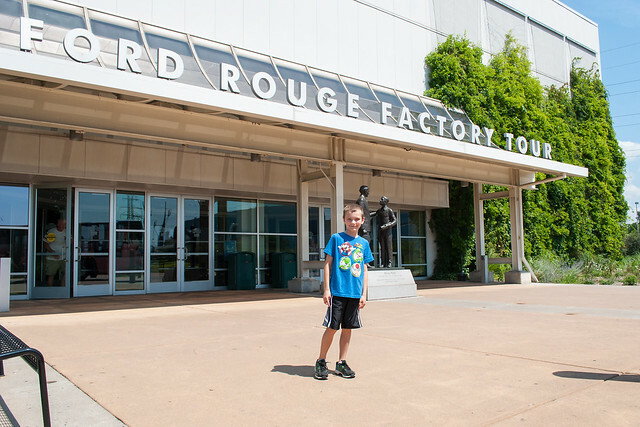 Before returning home we took a tour of the Ford Rouge Factory, where they build new F-150 trucks. Brandon thought everything about it was "AWESOME!" A lot more pictures from Dearborn are on Flickr.